For almost all of human history, our knowledge of the universe came from gazing up at the sky with unaided eyes. That got us pretty far: Ancient astronomers mapped the constellations and tracked the motions of the planets; Copernicus worked out that the Sun, not the Earth, is at the center of our system; and Kepler was able to formulate accurate laws of planetary motion. But apart from the rare appearance of a comet, astronomers almost never saw anything new or different in the sky. 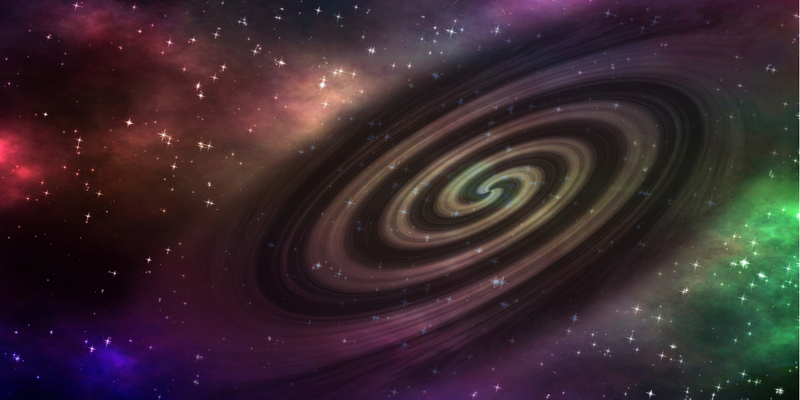 Our perspective on the cosmos was one of an unchanging set of heavenly bodies moving eternally in predictable patterns. Then, about four hundred years ago, Galileo turned a newly invented device toward the night sky and saw things that no one had ever seen before: He discovered that Jupiter has moons, that dark spots form on the Sun, that Venus goes through moon-like phases. Simply by using a device to collect more light than we can with our eyes alone, Galileo saw things that nobody even knew existed, including huge numbers of never-before seen stars that are too faint to detect without a telescope. Galileo’s active pursuit of new knowledge marked the birth of modern science. Since then, every major technological advance in astronomy has given rise to comparable new discoveries: Telescopes grew in power and size, revealing even more uncharted parts of the universe. Radio astronomy revealed the existence of exotic objects such as quasars and pulsars; X-ray astronomy gave us our first strong evidence of black holes; the advent of infrared and gamma ray astronomy were similarly groundbreaking. Each of these advances was like opening up a whole new window on the universe and seeing it in a way we never had before. Now, another leap forward has occurred in our ability to observe the universe. On September 14, 2015, after decades of research and the development of new high-precision instruments, scientists for the first time detected a gravitational wave — a wave of gravitational energy first predicted by Albert Einstein a century ago. The detection of gravitational waves is an achievement as profound as the one brought about by Galileo’s telescope. Before Einstein’s work, these waves were completely unknown. And even though he predicted their existence, Einstein’s calculations showed that their effects are incredibly small, so he assumed we would never be able to detect them. Yet, as a result of decades of effort by more than a thousand scientists from all over the world, they’ve now been detected — and this opens up a new era in our ability to observe and understand the universe. The detection of gravitational waves is an achievement as profound as the one brought about by Galileo’s telescope — easily one of the most important scientific achievements of the last hundred years. It’s been deservedly celebrated in the scientific press, and it earned the scientists who pioneered this work the 2017 Nobel Prize in physics. Compared to Galileo’s discoveries, however, it is harder for the general public to appreciate the significance of this new ability to detect gravitational waves. We’re victims of our own success: The more that scientific knowledge has grown in the last four hundred years, the more specialized and technical it’s become. While Galileo’s writings are accessible to a general audience, Einstein’s papers and those of the scientists continuing his work are not. But this is an obstacle worth overcoming: When the general public is no longer able to appreciate monumental achievements in science, we become that much less able to appreciate the power of reason in unlocking the secrets of nature and less able to be inspired by the awesome capabilities of the human mind. As a physics PhD who formerly worked in gravitational physics, my goal in this article is to guide you — in non-technical terms — toward an appreciation of the science of gravitational waves: What they are, how they were discovered, and why it’s so valuable that we can now detect them. To do that we must begin by exploring the background to Einstein’s theory of gravity: the General Theory of Relativity. We’ll consider a crucial question left open by Isaac Newton’s theory of gravity, and how the answer to that question came indirectly from developments in a whole different area of physics: the study of electricity and magnetism. We’ll explore the development of General Relativity and some of its most radical implications: the bending of light by gravity, the prediction of black holes, and the prediction of gravitational waves. Finally, with that background we’ll discuss the LIGO project — i.e., the project to build the first gravitational wave detectors — and the discoveries it has already made possible. This is an inspiring story of scientific discovery, propelled by breathtaking intellectual achievements. Since gravitational waves are invisible and went undetected by any existing instruments until 2015, how did scientists first come to the think that there might exist such a phenomenon? Let’s fill in some of the backstory. In 1905, Albert Einstein published his Special Theory of Relativity — which radically changed our understanding of space, time and motion, especially motion at speeds close to the speed of light. But by that time, he was also aware of a number of lines of evidence suggesting the need for a new theory of gravity, and he developed a theory that extends Newton’s Law of Gravity to account for them. If you took science in high school, you probably learned that Isaac Newton viewed gravity as a force of attraction between objects. The idea is that every material body in the universe — whether a planet or a pebble — attracts every other body in the universe. And Newton’s Law of Gravity tells you how strong that force of attraction will be: the bigger the mass of each body, the stronger the force of attraction; the farther apart they are, the weaker the force of attraction. The Sun doesn’t just pull directly on Pluto “somehow” across a distance of billions of miles. Rather, what Pluto experiences billions of miles away from the Sun is the Sun’s gravitational field at its location. One question Newton’s theory does not answer, though, is the question of how the gravitational force acts between one body and the other. If you have two objects separated by a distance — the Sun and Pluto, for instance — how do these bodies pull on each other across the billions of miles between them? Newton’s theory doesn’t include any mechanism by which the gravitational attraction occurs. Is there some kind of signal that travels the enormous distance between the Sun and Pluto and carries the gravitational force? Newton recognized that an answer to this question is needed — but properly, he did not want to venture any guesses that went beyond the evidence he had available. Based on the evidence and data available to him, he knew that his Law of Gravity correctly expressed the strength of the gravitational force. But he didn’t have any further evidence that would shed light on the question of how the force operates. The solution to this problem of action at a distance only came centuries after Newton. And it came from work that scientists were doing in a totally different area of physics: the science of electricity and magnetism. So how do all these types of forces act? The idea is that a magnetic object gives rise to something in the space around it called a “magnetic field.” The magnetic field is some kind of magnetic property that exists all around the magnet, but is distinct from it. It’s a basic kind of magnetic stuff that’s associated with magnets. So when a magnet exerts a force on, say, a piece of iron, it does not just somehow exert that force instantaneously across space, with no intervening mechanism. Its magnetic field is spread out all around it and extends out to the piece of iron. 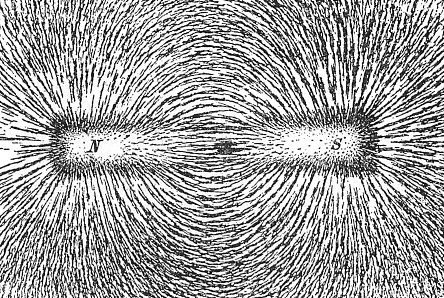 What the iron encounters is the magnetic field at its own location. The magnet doesn’t act on the iron directly across space. It acts through its magnetic field as an intermediary. The image below shows the familiar, characteristic pattern of iron filings scattered near a bar magnet. 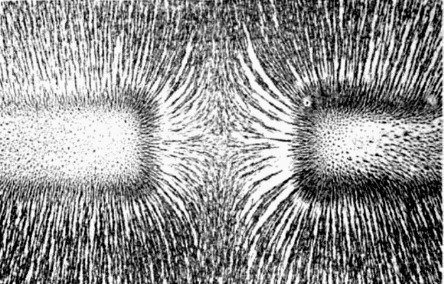 The magnet is surrounded by its magnetic field, and each little iron filing is being affected by the strength of the field that exists at its own location. Like dusting for fingerprints, this shows you what the magnetic field looks like in the vicinity of a magnet. The same idea applies to electrical and gravitational forces. An electrically charged object gives rise to an “electric field” in the space around it, and that electric field is what interacts with other electrically charged bodies. Similarly, a massive body, such as the Sun, has a gravitational field that extends out into space. The Sun doesn’t just pull directly on Pluto “somehow” across a distance of billions of miles. Rather, what Pluto experiences billions of miles away from the Sun is the Sun’s gravitational field at its location. So the concept of a “field” helps to explain the phenomenon of action at a distance. It explains how these forces operate. But it raises a new question: How do fields operate? If we accept that these various fields exist and that they’re in some way related to the magnets or charges or masses that give rise to them, it’s logical to ask: How do these fields behave? What are their properties and characteristics? Are there laws of physics we can define that govern their behavior? In the case of electric and magnetic fields, the answers came from a series of experimental and theoretical developments in the eighteenth and nineteenth centuries that culminated in the work of James Clerk Maxwell, a Scottish scientist who is one of the greatest physicists of all time. Maxwell collected all of the previous work that had been done on electricity and magnetism and boiled it all down to a set of mathematical equations governing all electromagnetic phenomena. These are now known as Maxwell’s equations, and they express the physical laws that govern the behavior of electric and magnetic fields. Expressing physical laws in the form of mathematical equations is a powerful tool. Simply by applying the rules of mathematics, you can alter and adjust the equations to gain new insights into the physical behavior of the fields — which is exactly what Maxwell did. Just by playing around mathematically with his equations and considering the physical implications of the results, Maxwell discovered new things about electric and magnetic fields that were absolutely revolutionary. In particular, three of the implications that Maxwell drew from his equations proved to be especially relevant to Einstein’s discovery of gravitational waves. One thing Maxwell discovered is that electric and magnetic fields can propagate as waves. In other words, waves of the electromagnetic field can travel from one place to another carrying energy and other physical properties with them. What does this mean? Consider the kinds of waves you’re familiar with: ripples on a pond, or waves that you can make by shaking a rope or a Slinky spring toy: a disturbance in one location causes periodic vibrations that propagate out as a wave. It is straightforward to describe such waves mathematically, so if you have a physical situation like the pond or the Slinky, a physicist could write down a set of equations that would describe the behavior of those waves. What Maxwell found is that by playing around with his equations, he could express them in the form of wave equations. In other words, Maxwell’s equations, which determine how electric and magnetic fields behave, are expressible as wave equations. This suggested that electromagnetic fields should be able to travel as waves. It’s important to note that nobody had ever observed electromagnetic fields behaving like waves. This was a theoretical prediction based on Maxwell’s field equations. It raised the question of whether such waves actually exist in nature. Do electromagnetic fields, in fact, propagate as waves? By exploring further the mathematical properties of these purported electromagnetic waves, Maxwell made another major discovery: they have all the same properties and characteristics as light waves. 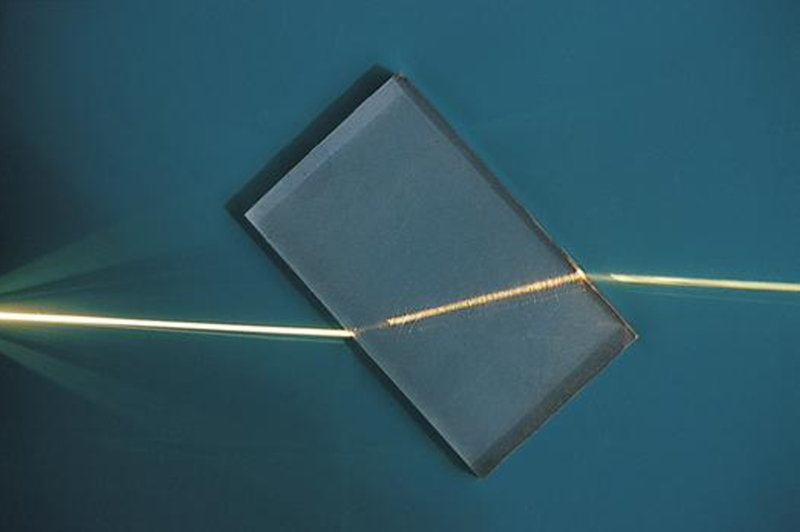 Scientists had been studying the properties of light for centuries and, by Maxwell’s day, knew a lot of things about how it behaves: They knew that light can be reflected by a mirror. 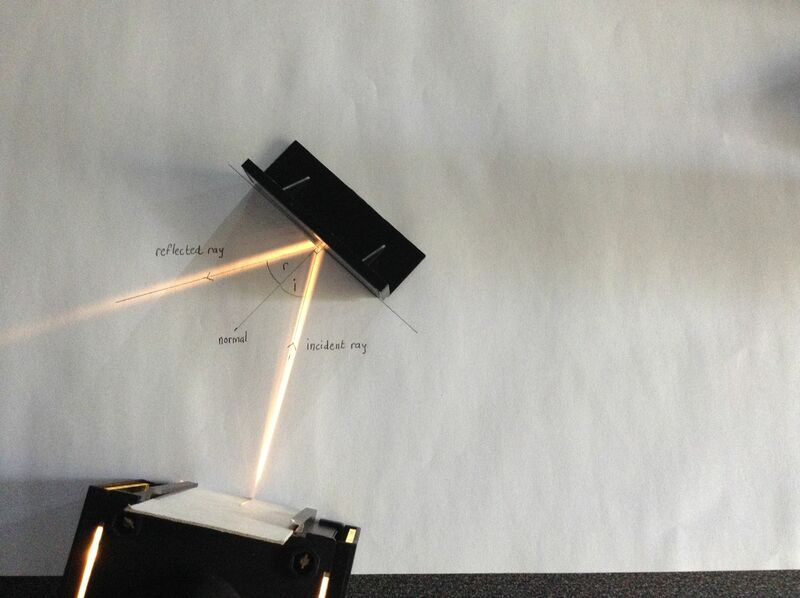 They knew that it can be refracted — or bent — by glass or other materials. People had done experiments to try to measure the speed of light, so there were fairly good estimates of how fast light moves. And more. What Maxwell found — again from working mathematically with his equations — is that his theoretical electromagnetic waves have all the exact properties of light: Under the right physical circumstances, the waves could be reflected and refracted. The speed at which they would travel — which can be calculated directly from the equations — is the same as the speed of light. And similarly with other known properties of light. The implication was clear: Perhaps light is, in fact, a type of electromagnetic wave — and today we know this to be correct. Not only do electromagnetic waves exist and have all the properties predicted by Maxwell’s equations, but light is, indeed, a type of electromagnetic wave. A final implication that Maxwell drew from his equations is the prediction of additional types of electromagnetic waves other than light waves. One important property of a wave is its wavelength: the distance between two successive wave peaks. Light waves have a fairly narrow range of wavelengths — from the violet end of the rainbow, with wavelengths around 400 billionths of a meter, to the red end of the rainbow at around 700 billionths of a meter. But there’s nothing in Maxwell’s equations that sets any limit or restriction on the range of wavelengths that are possible. There’s no reason why you couldn’t have a whole spectrum of electromagnetic waves with vastly different wavelengths — though, once again, this was initially just a theoretical prediction. But a few decades after Maxwell published his work, a German scientist named Heinrich Hertz tried to generate and detect Maxwell’s waves in his laboratory. Using specially designed electromagnetic equipment, Hertz was able to generate waves with a wavelength of around 4 meters — which scientists today would recognize as a type of radio wave. And he was able to detect them on the other side of his laboratory and verify all the properties that Maxwell had predicted. This was a stunning confirmation of Maxwell’s theory and a testament to the power of his mathematical ingenuity. Today, we know there is indeed a whole electromagnetic spectrum, ranging from radio waves with wavelengths that are miles long, down to X-rays and gamma rays with wavelengths comparable to the size of an atom. And Maxwell’s equations are the theoretical framework governing them all. It’s important to notice that in his work on electricity and magnetism Maxwell did not set out to discover electromagnetic waves. Indeed, the very existence of this spectrum was entirely unknown prior to his work. What Maxwell had set out to do was to organize and integrate everything that had previously been discovered about electricity and magnetism and to develop a set of field equations describing how electric and magnetic fields behave. The discovery of electromagnetic waves was an unexpected consequence of this work. The same is true of Einstein’s work on gravity. He did not set out to discover gravitational waves. What he did set out to do — as we’ll see in the next section — was to develop a new theory of gravity that would extend Newtonian gravity in a way that was consistent with his new Special Theory of Relativity. In doing so, however, he had Maxwell’s example to follow and the whole conceptual apparatus of field theory — so his prediction of gravitational waves ended up following a similar pattern. Einstein’s new theory of gravity grew out of his work on the basic laws of motion. His Special Theory of Relativity is indispensable in explaining the behavior of objects moving close to the speed of light — such as elementary particles colliding at high speeds. But its mathematical formulation is limited to objects in a state of uniform motion; it applies only to objects that are either at rest or are moving in a straight line at a constant speed — not accelerating or changing direction. And it also doesn’t incorporate the effects of gravity, which causes objects to accelerate or change direction. Part of the cultural mythology around Einstein is that he was an abstract theoretician with no concern for experiment or observational fact. In reality, nothing could be further from the truth. After publishing his special theory in 1905, Einstein turned to the task of trying to remove these restrictions — to find a more general theory that would apply to objects in any state of motion and incorporate the effects of gravity. The problem proved to be very challenging, and it took Einstein ten years to work out all the mathematical details. He completed his General Theory of Relativity in the fall of 1915 and published it in 1916. Part of his challenge is that he was trying to develop a new theory of gravity that would replace Newton’s. It would need to be consistent with all of the correct predictions of Newtonian gravity that were known to be highly accurate — but it would also need to go beyond Newtonian physics and correctly account for observations that Newton’s theory could not explain. The problem was that Newtonian gravity was an incredibly successful theory that gives extremely accurate predictions for almost everything. It’s not as though there was a whole list of unaccounted-for facts or observational evidence that could uniquely support Einstein’s theory in contrast to Newton’s. Astronomy wasn’t exactly crying out for a new theory. There were, however, a couple of such facts that Einstein was aware of, and these were enough to prove decisive for his theory. By the end of the nineteenth century, people had developed Newtonian theory to the point where they could calculate very accurately the exact motions of the planets in our solar system. Meanwhile, astronomers had developed their instruments to the point where they could measure the planetary motions extremely accurately. Comparing theory with observation, scientists found that there was mind-bogglingly accurate agreement between the observed orbits and the calculated predictions for all the planets in our solar system — except one: For the planet Mercury, the calculated orbit disagreed with the astronomers’ measurements by a tiny amount. The discrepancy was so small it’s hard to believe that either the theory or the observations could be as accurate as they were — but they were, and this was a rare example of something that Newtonian gravity couldn’t explain. After struggling for ten years to identify the correct mathematical form for the General Theory of Relativity, Einstein finally found the equation for the gravitational field — one that met all the physical and mathematical criteria that his theory required. He then used his new equation to calculate the planetary orbits, and what he found was absolutely stunning: His calculation of Mercury’s orbit agreed precisely with the astronomer’s measurements. For all the other planets — for which Newtonian theory gave the correct result — Einstein’s equation gave the same correct result. But in the one case where Newtonian theory was getting the motion ever-so-slightly wrong, Einstein’s got it exactly right. This was decisive evidence supporting Einstein’s new theory. The more scientists learn about objects that can only be understood using General Relativity, the more indispensable the theory becomes, and the more reasonable it becomes to take seriously all of its implications, including gravitational waves. Although he was bold about drawing conclusions that seem to fly in the face of everything we think we know, that’s not the same as being dismissive of facts. Well acquainted with the cutting-edge discoveries in the laboratories and astronomical observatories of his day, Einstein was deeply concerned with grounding his theoretical work in observational fact. Over the decades since Einstein’s publication of his theory, scientists have identified more predictions of General Relativity that depart from those of Newtonian gravity, and have tested them against observations. The result has been a steadily growing body of evidence supporting General Relativity as the correct theory of gravity. One surprising implication of General Relativity is that light is affected by gravity; its path can be bent by strong gravitational fields. When he published his theory in 1916, Einstein included a calculation showing that the sun’s gravitational field ought to be strong enough to deflect light rays by a measurable amount. 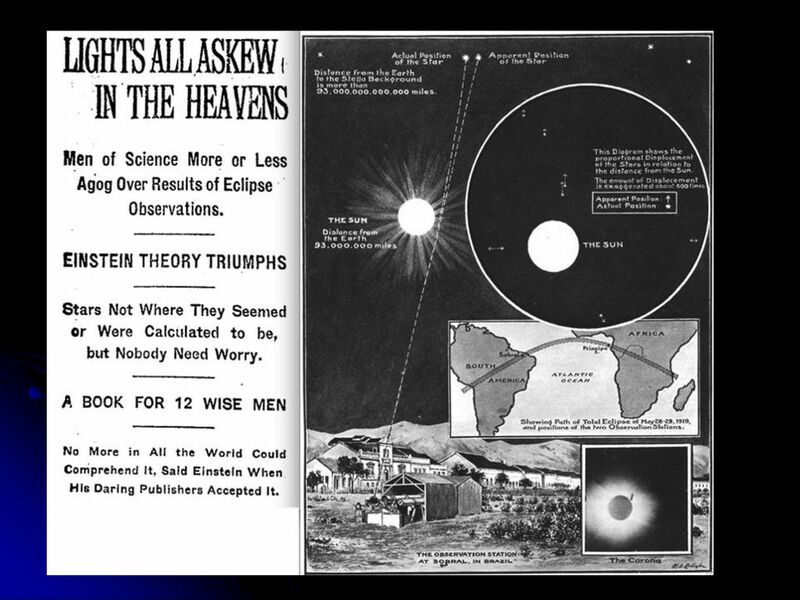 This was another prediction that lent itself to an observational test, and it was confirmed in 1919 when astronomers were able to make very precise observations of light rays grazing the sun during a solar eclipse. But if light is affected by gravity, that implies an even more surprising possibility: What if the gravitational field is so strong, and its pull on light rays so severe, that the light can’t even escape? Just as Maxwell made revolutionary discoveries about the physics of electricity and magnetism by teasing out the mathematical implications of his equations, Einstein and others made similarly radical discoveries by working out the mathematical implications of General Relativity. This region of no-escape will only be present if the star is compressed down to a tiny volume — way smaller than any stars known in Schwarzschild’s day. For instance, a star that has the same mass as our Sun (which has a radius of more than 400,000 miles) would only form a black hole if all of that mass were somehow compressed down to a radius of less than two miles. For a long time, therefore, people didn’t really take the idea of a black hole too seriously. Even Einstein was skeptical that an object like this could actually exist. But as our knowledge of astronomy grew over the early twentieth century the idea of black holes itself became more and more inescapable — especially as scientists started to understand in detail what happens to stars after they burn out. A star is essentially an enormous ball of gas for which the inward pull of gravity is balanced by the outward force of continuous nuclear explosions. After it uses up all of its nuclear fuel, that balance is lost and the star becomes unstable, exploding in a giant supernova that sends most of its mass flying out into the universe. But some of its matter remains, collapsing inward by the force of its own gravity, and its final fate depends on just how massive the remnant is. If the remnant is bigger than 1.4 times the mass of our sun, but not too much bigger, it will stop collapsing when it becomes, essentially, a giant ball of neutrons — like you’d find in the nucleus of an atom. This is called a “neutron star” and it’s an object about twice the mass of our sun compressed down to a ball about 6 miles in radius. That makes it about a billion times more dense than a white dwarf. Its gravitational field is so strong that the effects of General Relativity start to become apparent. If the remnant is more than around 2 or 3 times the mass of our sun (the exact cutoff is still uncertain), its gravity will be so strong that nothing can stop it from collapsing completely. According to everything we currently know about astrophysics, there is no known physical process that can prevent total gravitational implosion, so any star that starts out above a certain mass will have to form a black hole after it burns out. Today, there’s all kinds of evidence to suggest that black holes are real and they’re all over the universe. The more scientists learn about objects that can only be understood using General Relativity, the more indispensable the theory becomes, and the more reasonable it becomes to take seriously all of its implications, including gravitational waves. 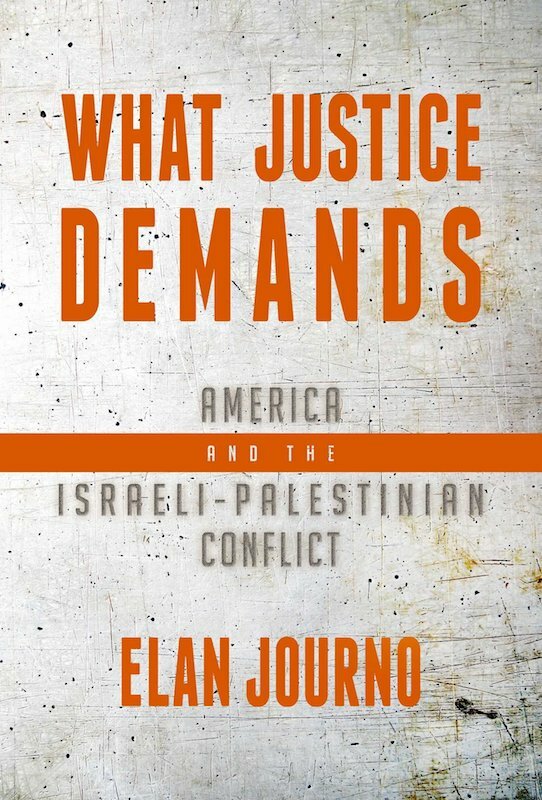 The concluding part of this article appears here in New Ideal. Magnetic forces are a little more complicated than gravity because they have two opposite poles, north and south. Opposite poles attract, but poles of the same type repel each other. But whether they’re pushing or pulling on each other, the force acts across a distance. So while their behavior is more complex than that of gravity, there’s nevertheless an essential similarity in the phenomenon of action at a distance. Like magnets, there are two kinds of electric charge: positive and negative, and opposite charges attract while objects with the same type of charge repel each other. Walter Isaacson, Einstein: His Life and Universe (New York: Simon and Schuster, 2007), 218.